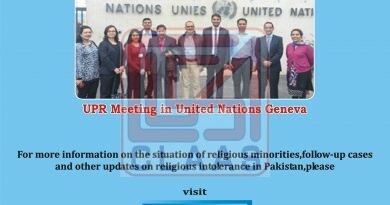 On March 8, 2015 Mr. Joseph Francis MBE (National Director CLAAS) phonically informed that a young Christian boy namely Zubair has been tortured and murdered in police custody at police station Shera Kot District Lahore. Immediately CLAAS team consisted on Mr. Sohail Habel (Finance Manager) and Mr. Hunny Bashir (Assistant In- charge Legal Department) reached at the place of occurrence to collect real facts behind this brutal incident. According to the facts Ayesha Bibi w/o Rasheed Masih (Late) resident of Harbans Pura Rani Village has two children namely Zubair aged 20 years (deceased) and Umair aged 22. Both brothers were working in a dog kennel as trainer while Ayesha Bibi was working as house maid in Abdul Jabbar’s house Phatan by cast in Hajvery Town Harbans Pura Lahore. On March 05, 2015 at evening when Ayesha Bibi was in her house Abdul Jabbar entered with some police officials of Harbans Pura police station and blamed to her that she has stolen 8 Tola gold and Rs.36000/- PKR cash from his house. He further informed to Ayesha Bibi that an FIR has also been lodged against her. 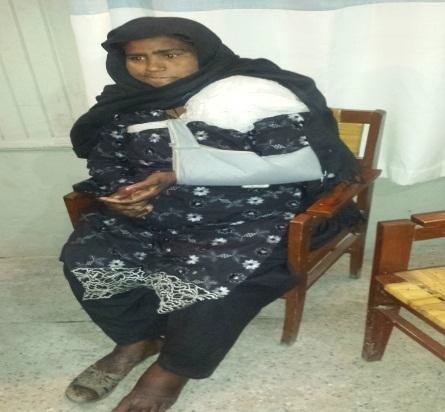 Ayesha Bibi was shocked and said that she did not know about any gold but Abdul Jabbar and police officials started beating her brutally and took her with them to the house of her brother namely Arshad Masih at Shera Kot Lahore where her sons were living. Abdul Jabbar alleged that she has given the theft gold to her sons whereas Ayesha Bibi requested him that she is innocent and did not know about any gold and cash. Abdul Jabbar again started beating her in the presence of police official and after that they took her along with her sons and brother Arshad at Hurbans Pura police station where already a FIR No. 253/15, dated March 03, 2015 Offence under section 381 PPC (Pakistan Penal Code) was registered against Ayesha Bibi. The police officials kept them in a torture cell and subjected to a severe torture on the body of Zubair Masih real son of Ayesha Bibi. The police officials released Ayesha Bibi and his brother Arshad Masih after giving harsh beating to them whereas kept Zubair Masih in their custody. 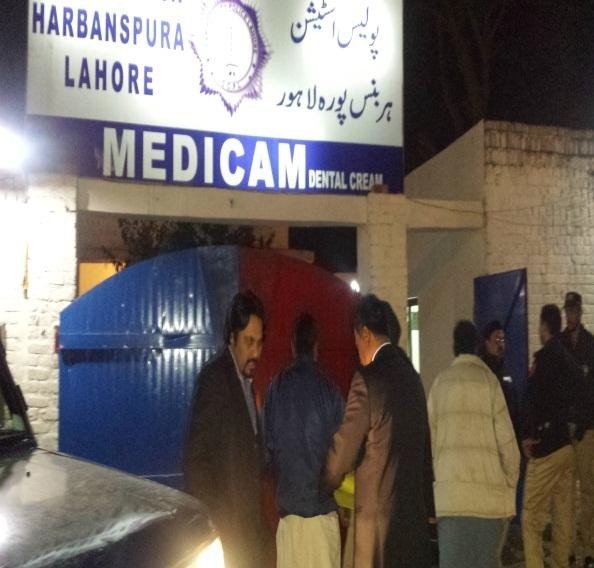 On March 06, 2015 at evening the police officials of Hurbans Pura police station Lahore left Zubair Masih in a dead condition in front of house of Arshad Masih. 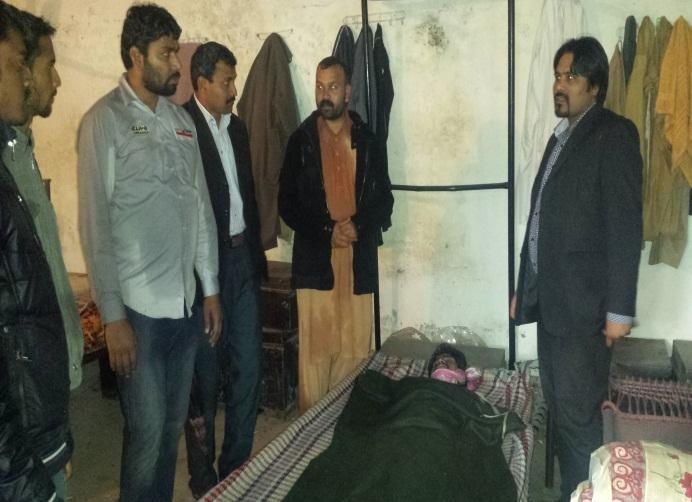 Zubair Masih sustained multiple severe injuries and subsequently the family of Zubair Masih took the dead body to the hospital where the doctors confirmed the death of Zubair Masih. The doctors further declared the death is caused by severe torture. 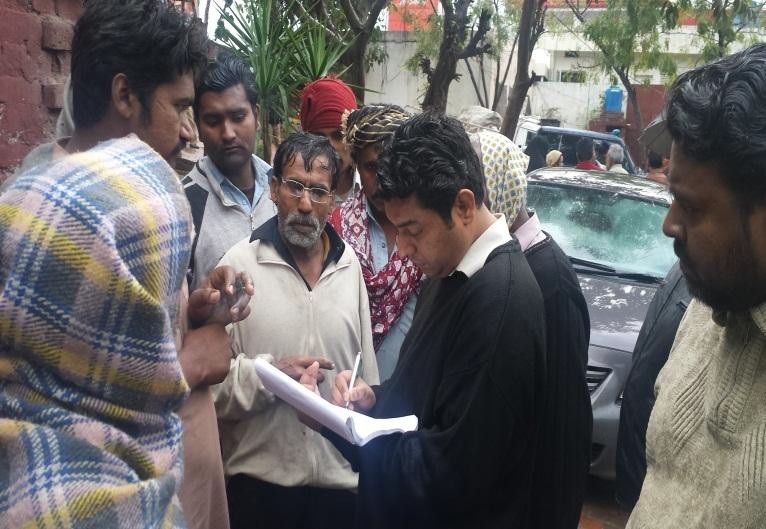 On the very next day on March 07, 2015 at about 6:00 a.m. the family of Zubair Masih keeping the dead body in front of police station started their protest and demanded registration of case against the police officials which was continued till March 08, 2015. 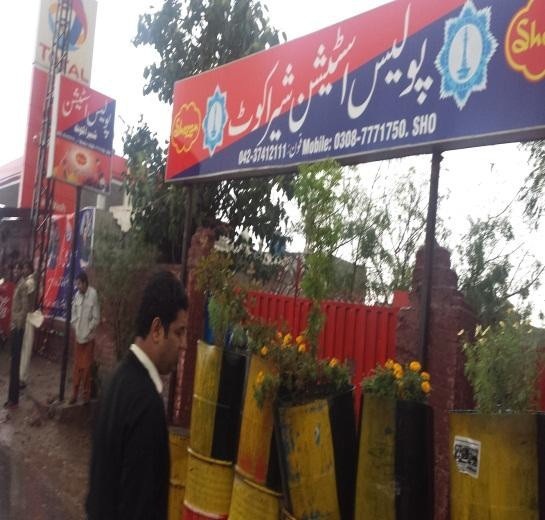 And after intervene of the civil society and media the high officials of police DSP Farhat Abbas, Muhammad Iqbal ASP and SHO Muhammad Farhat came at the spot and a FIR No. 269/15 dated March 08, 2015, Offence under section 302/506/34 PPC (Pakistan Penal Code) has been registered at the police station Hurbans Pura Lahore against Saraj Ul Haq ASI (Assistant Sub Inspector) and three unknown police officials and one Abdul Jabbar private along with an unknown person.Police sent his dead body to Mayo hospital for post mortem examination moreover police assured them that the culprits will be behind the bars as soon as possible. The police further got Arshad Masih medically examined. The protest was ended after the registration of FIR on the complaint of Ayesha Bibi. According to her that she is living in a rented house in Rani Village and working in Abdul Jabbar’s house for last two months at Rs.2000/- per month salary. She is innocent and neither she know about any gold and nor any cash. Abdul Jabbar and his wife deliberately involved her son and brother in theft case. Abdul Jabbar continuously beat them brutally for two days in the presence of police officials. Police joined hand with him because he is rich and influence person of locality and has own business of clothes. According to him that Ayesha is a widow and her husband has been died for many years ago. She has been falsely involved in this fake case due to working as house maid. Abdul Jabbar has beaten Ayesha, Arshad and Zubair brutally and police beat them too. He further shared that Arshad and Zubair was not nominated in FIR but police and Abdul Jabbar deliberately involved both them. According to him that he is working in University of Animal Sciences Lahore, as sweeper for last three years. On March 5, 2015 Abdul Jabbar and some police officials entered in his house and started beating him, his nephew Zubair and his sister Ayesha. After beating they took them in Harbans Pura police station. Arshad further told that Abdul Jabbar and ASI Siraj-ul-Haq daily beat them with steel rod further they broke his fingers of right hand they also broke Ayesha’s left hand and leg. Arshad and Zubair were not nominated in FIR but police deliberately involved both them.